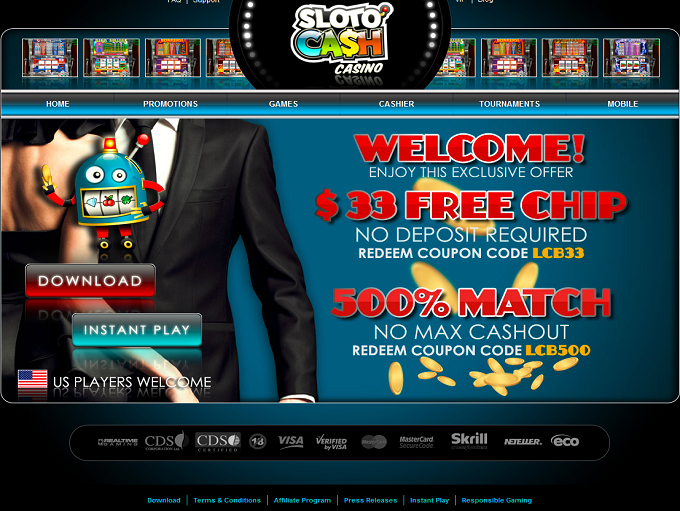 SlotoCash Casino has been around since 2007, and they are one of the leading smaller scale online casinos to be powered by RealTime Gaming (RTG). 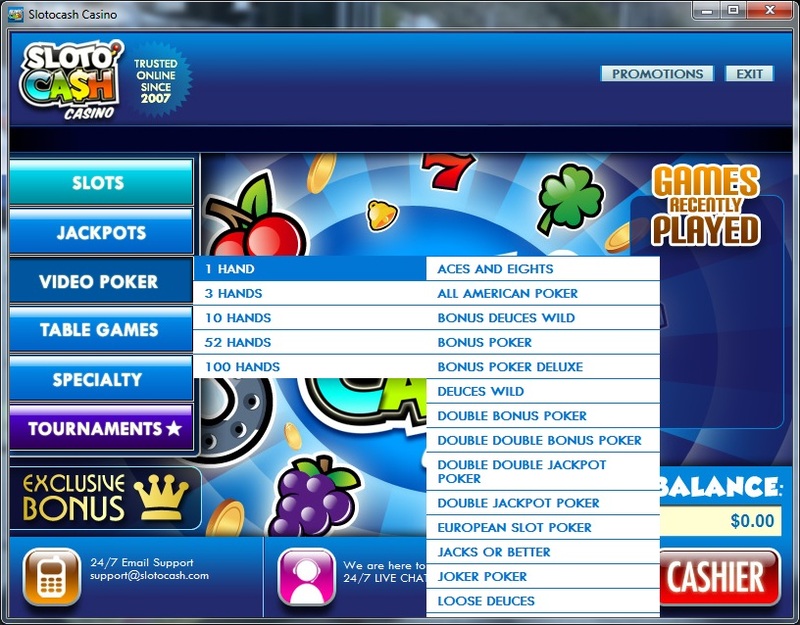 This casino offers gameplay in English, French and Russian. This is a much-trusted casino, being GLI (Gaming Laboratories International) certified, and licensed out of Curacao. 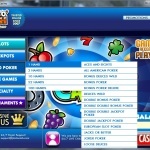 Mobile, instant play and downloadable versions of this casino are available for all players. 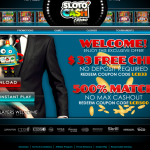 Players will find that they can use US dollars to deposit and play at SlotoCash Casino, whilst customer support is available via live chat and e-mail, only. Accepting banking options at the domain include American Express, bitcoins, ECO, MasterCard, Neteller, Skrill, VISA, and of course, wire transfers. If you happen to be new to SlotoCash Casino, the chance to bag such a mighty welcome bonus as the one you can find there will be hard to refuse. The house is offering you the opportunity to bag a 200% match on your first deposit, as well as 100 free spins when you enter the promo bonus code of SLOTO1MATCH alongside your deposit. Enter the promo bonus codes of SLOTO2MATCH, SLOTO3MATCH, and SLOTO4MATCH alongside your second, third and fourth deposits, and you can claim 100% matches on each deposit, as well as 50 free spins apiece. A fifth deposit alongside the promo bonus code of SLOTO5MATCH can see players net a 177% match and a final 50 free spins. Free spins are valid on the Enchanted Garden 2 slot machine game. 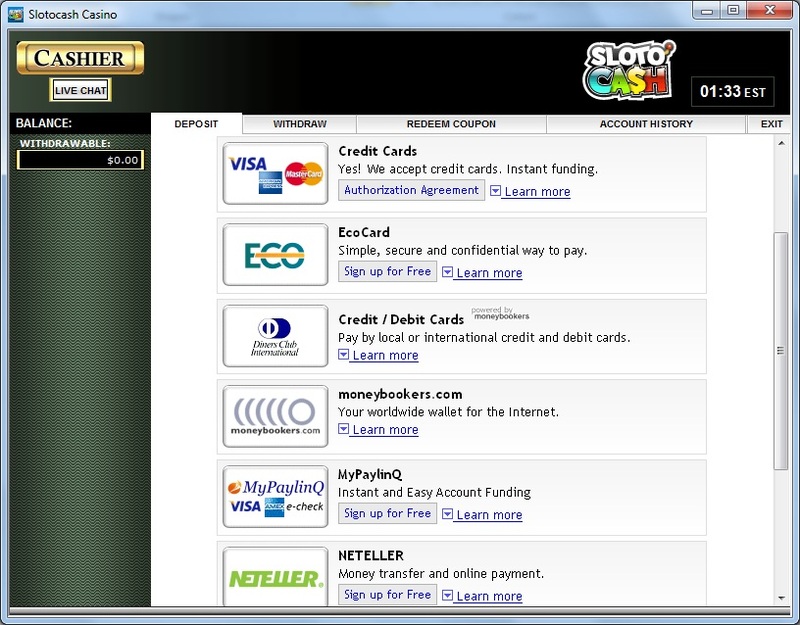 As well as their welcome bonus offers, SlotoCash Casino also carries casino games bonuses, and a 25% cashback program for players, amongst other deals. SlotoCash Casino’s games are provided by RealTime Gaming and are broken down into genres which include table games, slots, video poker, speciality games, progressives, favourites, new games, and a selection of your most recently played games. Top table games at this casino include Caribbean Draw, Let ‘em Ride, Caribbean Stud poker, American roulette, craps, French roulette, sic bo, European roulette, and even multiplayer roulette games. If you fancy video poker, all of your favourites – such as Deuces Wild – can be found at the casino. As for the top slot machine games, the Fucanlong, Megaquarium, Nova 7s, Snowmania, Sweet 16, Witch’s Brew, Aztec’s Millions, Cleopatra’s Gold, Jackpot Piñatas, Football Frenzy, Shopping Spree II, and Spirit of the Inca slots are all big at this moment in time. The following countries are restricted at this casino: Israel, Moldova, Romania.